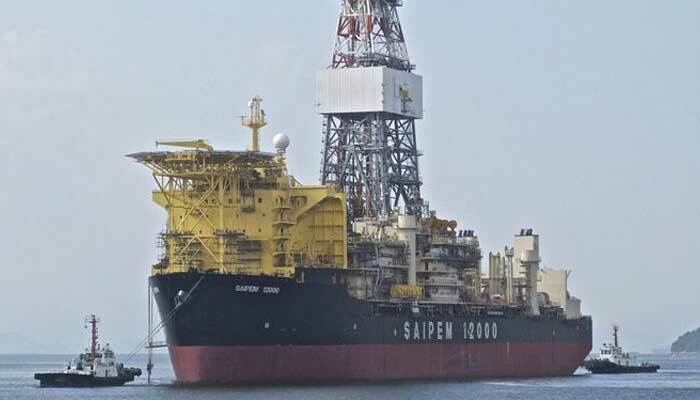 ISLAMABAD: The Petroleum Division authorities are clueless as to why Prime Minister Imran Khan time and gain announces that Pakistan is going to discover the biggest oil and gas reserves in the country’s deep sea, as drilling up to the required depth of 5,500 meters will complete by the end of April. The Kekra-1 well, G Block has been drilled to a depth of 3,700 meters so far. In a second interaction with the media persons on Monday, Imran again reiterated that Pakistan was going to have a massive oil and gas discovery without knowing the repercussions of his announcements on the stock exchange businesses. However, till Saturday last, dated January 9, the well was drilled at a depth of 3,700 meters which is far away from the target of 5500 meters. So it is too much early to claim a major discovery. A top official said he did not know who was briefing the premier at this stage that a major discovery was on the cards. In kekra-1 well, he said, earlier the well was drilled to a depth of 4,900 meters when a high pressure was felt causing huge mud loss and because of unsafe operation the well was plugged. Then the first side tracking started and when it reached down to 3100 meters, then it again met failure which is why the hole was also blocked and now the second side tracking is underway owing to which the well is drilled by 3,700 meter and the target of 5500 meters is still 1,800 meters away, a top relevant official told this reporter quoting the data of ENI — the lead operator of the well. ENI, an Italian company, is operator of the Kekra well-1. Exxon Mobile, OGDCL and Pakistan Petroleum Limited (PPL) are the sleeping partners of the joint venture. The spud drilling activities at Kekra-1 well was kicked off with $75-80 million by joint venture with 25 percent share each. He said there were two types of pressure kicks; one’s called the water pressure kick and the other gas pressure kick. The official said the well at the depth of 4,800 meters was plugged because of kick pressure owing to which drilling activities had to be halted on account of huge mud loss. And after pause of some days, from one side, first side tracking process initiated and when drilling reached a depth of 3100 meters it met failure and the first side tracking had also be stopped and now the second side tracking is going on owing to which the drilling has reached the depth of 3,700 meters as of today. However, when contacted Mr Irtiza Sayyed, CEO ExxonMobile, said he was travelling and it was better to ask the ENI which was lead operation of Kekra-1. ENI country representative Kamran Mian showed his inability to respond to any question saying under protocol he was no allowed to speak about any information on exploration activities at Kekra-1. Additional Secretary and spokesman for the Petroleum Division Sher Afgan, however, confirmed that when drilling reached a depth of 4,800 meters, the sudden kick pressure came up causing imbalance to the drilling structure owing to which the drilling braved the mud loss. The ExxonMobile had to again spud the well by 1,500 meters. He confirmed that first side tracking, which after 3100 meters depth, met failure and now the second side tracking was underway. GA Sabri, former special secretary Ministry of Petroleum and Natural Resources and former DG Oil, said prior to drilling the Kekra-1, the probability of discovery was 19 percent, but after two sides tracking, the probability had reduced. He said the target was 5,500 meters and ExxonMobile was yet to go 1800 meters deep. He said kick pressure was no sign of a major discovery. He said TOTAL had earlier spud the well in G Block and its depth target was 5,000 meter, but it abandoned the well just before 5,000 meter depth ensuring no discovery. Ghulam Mustafa, former OGDCL drilling engineer, said he felt that formation pressure was on the higher side whereas mud was on the lower side due to which when high pressure came out the structure got imbalanced. However, he needs the answer as to why the well is plugged, as it could have been managed. He said if the first side tracking had got initiated then why it was also plugged. Mustafa said now rigs with high technology were being used for ultra-deep exploration activities having the capacity to initiate side tracking from five sides. He shared his experience of exploration activities at well no. 7-A in Dhakni oilfield saying side tracking was done from four sides, but all endeavours met failure. However, DG Petroleum Concessions Qazi Saleem said the preliminary investment of $75-80 million for drilling endeavour was usually considered in the world of oil and gas as the sunk investment assuming the well emerges as dried one. The drilling activity is always a risky business which is why investment in drilling is named as sunk investment. The DGPC disclosed about 17 wells in Pakistan’s deep sea were drilled in the past, but all endeavours failed. Highlighting the background of the drilling activities done in the past in ultra-deep sea of Pakistan, he said the first offshore well was drilled in 1963 by the US company Sun Oil but the well was found dried. The same Sun Oil Company in 1964 spud two wells in Pakistan’s deep sea but both also went dried. After a lapse of eight years, Winter Shall from Germany explored three wells in ultra-deep sea which later on got abandoned as nothing was discovered. He further stated that Winter Shall drilled two wells in 1972 and third one in 1975 but no oil and gas was discovered. He said in 1976, Marathon Oil Company from US endeavoured for drilling, but nothing was discovered. In 1978, Husky Company from Canada also spud the well, but no success was met. Then after seven years’ time, it was OGDCL that spud the well in 1985, but again no discovery was made. Likewise, in 1989, Occidental company explored the well but that too went dried. In 1992, Canterbury from New Zealand and in 1999-2000 Ocean company from US spud two wells but both went dried. In 2004, TOTAL — a French company — also explored one well but that was also abandoned. Pakistan Petroleum Limited tried in 2005 and Shell from Netherlands endeavoured in 2007 and Shark-1 went in 2010 for drilling in Pakistan’s deep sea but all went in vain. In toto, 17 serious attempts were made for wells drilling for oil and gas, but nothing was discovered.